Improve and increase your technical repertoire. Understand clearly your tactical role in doubles and singles. Enjoy the game more, decrease your frustration levels on court. Have a greater understanding of the mental side of the game and how this can impact your performance levels. Play with more ease and efficiency and experience peak performance. Tonia is offering you the opportunity to come along and work on any aspect of your game. Small group of 2-4 players of a similar standard. This small focused group coaching is highly effective, as you get the benefit of closed drill situations alongside open matchplay. A perfect combination! Tonia will register you and match you up with 2 or 3 other players of a similar standard. 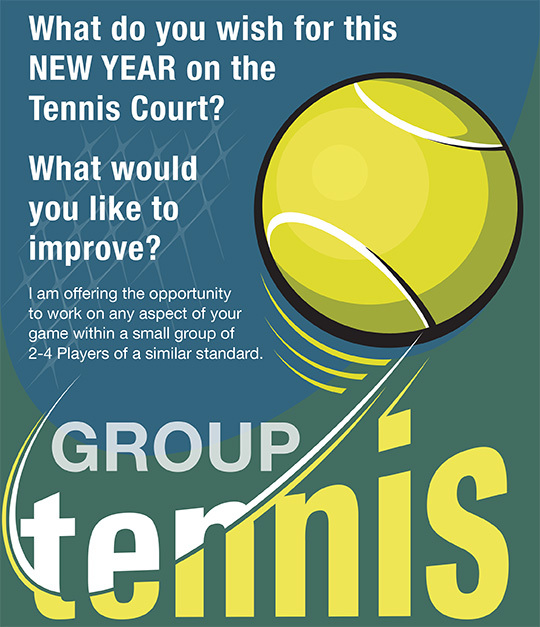 OR.. you can find 2 or 3 other players yourself and contact me to arrange a session for your own group. Lessons can be a one-off session or Tonia can plan a series of 3 or 4 sessions – it is entirely up to you and your group. 2 players who have described the positive experience they had from working in a small group with Tonia. Really helpful to combine technical coaching alongside tactical – helps improve overall game. Good to have regular sessions – allows progression with skills and tactically – but also constant referrals back to basics eg. watch the ball, move the feet all the time. Being observed professionally gives much more accurate feedback about what I am actually doing – it’s not always the same as what I think I am actually doing. Playing with a regular group all at similar level means we can progress together – albeit on different tracks. My game has improved significantly as a result of these sessions – it’s fun, rewarding, focused and very worthwhile. 100% recommend to anyone who wants to be a better player and play better more often.